We recently learned that ‘Reparando’ is an official selection of the 2011 Omaha Film Festival. This is good news for a few reasons. First, it is another opportunity to share the story to a new and diverse audience. Secondly, it adds more credibility to our project. And thirdly, I get to re-connect with some of my college friends. The Omaha Film Festival has stirred up some memories. Its been 20 years since I first walked on to the campus of Hastings College. Hastings is a small town in the middle of the continent. For a Navy Brat, is was about as far away from the ocean I could have gone – at least on the continent of North America. It’s a long story to explain how I actually got there in the first place, and even longer to explain how all my siblings ended up there as well. We are all Hastings grads. Hastings is a part of our story. I’m looking forward to catching up with old classmates, enjoying some good food and conversation. I’ll probably even do some dancing … but probably not the “running man”. A lot has changed in 20 years, but a couple things have stayed the same. I am still passionate about creative storytelling, and I am drawn to stories involving culture. High school in Okinawa, Japan certainly impacted my worldview. But so did college in small town America. Both extremes helped me realize the fact that people are people, no matter where you go. There are fears and flaws in every culture. But there are also beauty and richness. To enjoy the beauty, we must embrace the flaws. Reparando premieres to three sold-out theaters and excellent reviews. 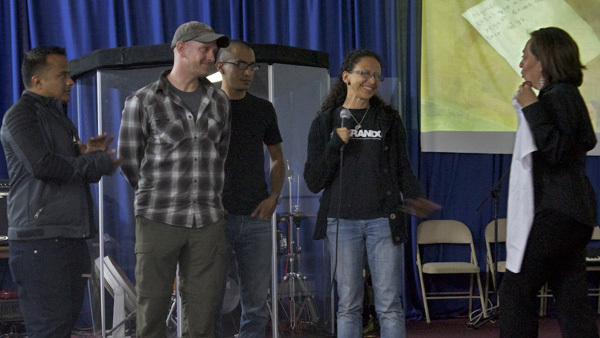 GRAND RAPIDS, MI—Reparando, a documentary on Guatemala’s struggle to repair itself and its people following a 36-year civil war, held its West Michigan premiere October 13 and 14 at Celebration Cinema Rivertown and Celebration Cinema North, respectively, to three sold-out audiences. One show was scheduled at each venue, but the demand required a second theater be added for the Rivertown show. 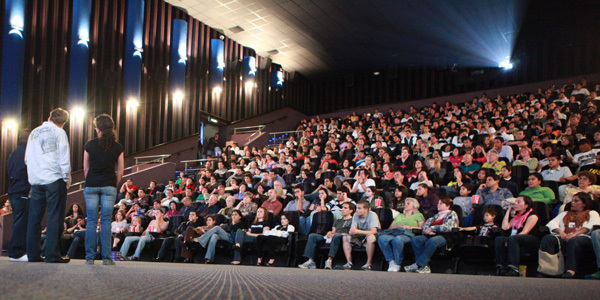 Together, the three screenings were seen by nearly 1,100 people. Other showings during the week at schools, colleges and universities were viewed by another 500 people. The response to the film was overwhelming. “I sat in grade schools, high schools, colleges and sold-out movie theaters this week watching an amazing tapestry of grace unfold, both on screen and off,” says Scott Moore, producer and director. Moore notes the effect the film had on just a few people he had a chance to talk to: an elementary teacher moved to begin micro-finance projects to support Guatemala with the kids from her school; a high-school Spanish teacher who based her lesson around the Reparando doll narrative and said it was her best day of teaching in her entire career; a high-school student who is now mobilizing her friends to use their collective discretionary money for missions advancement; a 17-year-old native Honduran who is now considering returning to Central America to work with children and teens; several teens now contemplating a full- time career in ministry. Due to tremendous demand, another screening of Reparando in the area will take place the week of November 7. The exact time and location are to be determined. Guatemala was ravaged by Civil War for 36 years. But hope is rising. In the midst of incredible odds, victims have been transformed into champions who willfully embrace the pain of their past to help repair the next generation. Reparando depicts the restoration of Guatemala as told through the lives of Shorty – a former gang member who is now a pastor, and Tita – a woman who started a school in La Limonada, the largest slum in Central America.